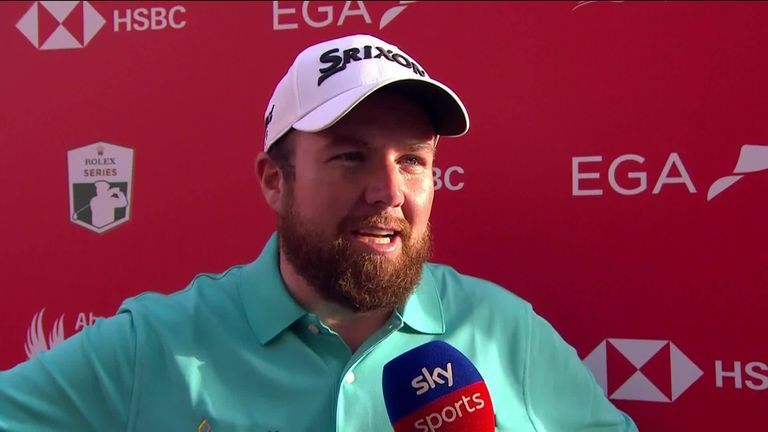 Shane Lowry is refusing to get carried away about the possibility of a first European Tour win since 2015, despite extending his lead at the Abu Dhabi HSBC Championship. Lowry mixed seven birdies with two bogeys on his way to a third-round 67 at Abu Dhabi and has a three-stroke lead over Richard Sterne heading into the final round. The Irishman has led ever since he fired a course record-equalling 62 on Wednesday and remains in pole position to end his three-and-a-half year winless run, stretching back to the 2015 WGC-Bridgestone Invitational, with Lowry focused on finishing off his impressive week. "I'm not going to say I feel invincible because we all know that this game is not easy, and it can jump up and bite you when you least expect it," Lowry said. "I'm just trying to go out and do what I've been doing. "I've been hitting some lovely iron shots. It just so happens that I've hit them on the par threes and holed a few putts. It just shows when I get myself in position, I can give myself chances and that's kind of what I need to do. "Obviously we're playing in a world-class field on a very difficult golf course. I think I just need to go out and stay aggressive and just play my own game and try and make as many birdies as I can. "That's the way I play golf. If I can do that, hopefully I can be up there at the end of the day and give myself a chance coming down the last few." Richard Sterne is Lowry's nearest challenger and sits three back on 14 under, with Ian Poulter a further two shots behind in third as he searches for a first European Tour win since 2012. "The round was a bit frustrating," Poulter said after a three-under 69. "It was one of those days where I wanted to keep it out of the traps but all I kept doing was hitting it in them. 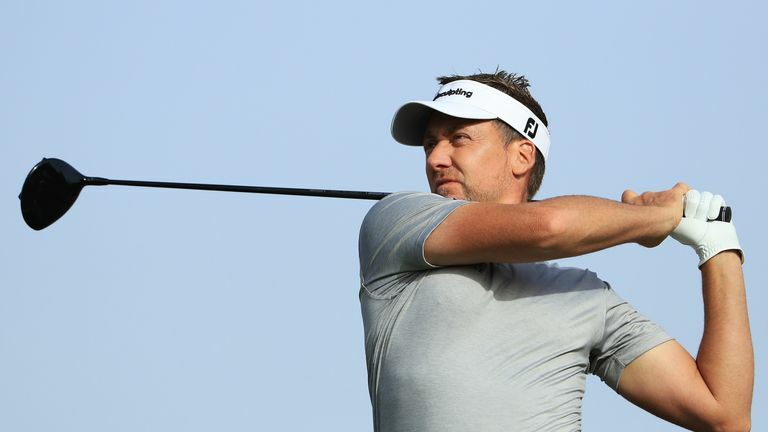 Ian Poulter believes he still has a chance of winning the Abu Dhabi HSBC Championship. "To finish with a three was good, especially after obviously bogeying 16. It looked a long way back when Shane [Lowry] was moving way forward, but eagle and a bogey obviously helps. "The greens are good and I think if you play well, and you play smart, take advantage of the par fives tomorrow, then I think definitely in with a chance." Who will win the Abu Dhabi HSBC Golf Championship? Watch the final round on Saturday from 7am on Sky Sports Golf and Sky Sports Main Event.